What began as a rowing ‘spinning class’ can now supply you the rowing machine, teach you how to use it, keep you motivated until you get to competition and then help you onto the water for your complete rowing experience. Invest in yourself and get a New or 2nd-hand Concept 2 Rowing Machine. 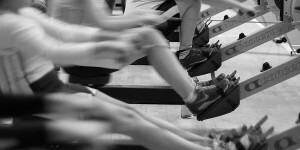 Take your erg to new levels with Indoor Racing at the Irish Indoor Rowing Championships which ROWfit runs. Be part of the IIRC Race Series of indoor rowing events. Maybe join a rowing club, get on the water and treat yourself to a pair of new blades! Of course if you know all that and just want the best price – we can do that too. Copyright © 2019 ROWfit™. Powered by WordPress. Theme: Esteem by ThemeGrill.